Dungen is a Swedish band which is more of less a monkier for multi-instrumentalist Gustav Ejstes. Unlike many of the bands you read about on this site, Dungen is fully functioning in the present and in fact has a new album coming out in the next month. I don't think they quite fit the "obscure" tag, but I certainly wouldn't consider these folks mainstream either. Ejstes whips up a heady acid rock groove on Ta Dent Lugnt, Dungen's third album. The band's sound is set pretty squarely in 1968, with the most obvious reference point being late-period Cream, albeit being sung in Swedish. There are lots of searing acid rock guitar leads, and the impressing drumming falls somewhere between Ginger Baker and Mitch Mitchell's brands of manic, swinging thumping. In fact, the only thing here that recalls the last 35 years of music is that Ejstes voice makes me think of the Red Hot Chili Peppers' Anthony Kedis. Yes, the lyrics here are entirely in Swedish, so this is not a good place to search for tripped out psyche poetry, unless you're fluent in Swedish. 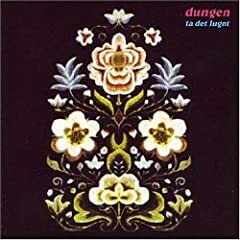 A band like Dungen is very much about it's sound, and Ejstes' voice, while not phenomenal, is certainly expressive enough that I get an idea of the meaning. For better or for worse, Ta Dent Lugnt is frontloaded with its standout tracks. The album starts out in a poppier mode with the one-two-three punch of "Panda," "Gjort Bort Sig," and "Festival." "Panda's" drum intro is especially of note and "Gjort Bort Sig" has an awesome vocal echo effect adorning it's chorus. Apparently, Dungen live is more a balls-out jamming affair, and the next few songs, "Du E For Fin For Mig" and the title track, have more sprawling lengths. The former is textured with some string overdubs while the latter pounds it's central riff for several minutes until morphing into, uh, jazz. The rest of the album doesn't have as obvious highlights (except for the closing, anthemic "Sluta Folja Efter") but the flow of the album follows this lead into jazz. There are a few song fragments and several jazzy instrumentals, the best of which is the Soft Machine-like "Om Du Vore En Vakthund." Breaking this up a bit is the very Beatlesque "Lipsill," and the sludgy loud "Bortglomd." This later part of the album recalls the flow of Olivia Tremor Control albums, although without all the tape splices. Dungen's music basically amounts to a pristine recreation of psychedelia circa 1968 on Ta Dent Lugnt. They do a phenomenal job at this, however, and deserve a listen by any fans of acid rock. For those of us plunging through endless piles of esoterica, we often have to concentrate on the diamonds in the the rough found on otherwise unimpressive collections. With Chrysalis' Definition, however, we really do have a top-tier album of American psychedelia that has yet to recieve it's due. Chrysalis was a university-incubated band hailing from Ithica, New York. They built up a local following, and armed with some praises from Frank Zappa's circle of cronies, set about making Definition in New York City. The making of the album was a rough road as the band went through several producers, including Zappa himself. Strangely enough the problem didn't reside with the typical "creative differences," but instead with the horribly abrasive attitude of the band's managers. Even with these issues, the finished album is a unified-sounding product. The band's leader and almost exclusive songwriter was a strange fellow by the name of Spider Barbour. He is apparently best known as the subject of Frank Zappa's Lumpy Gravy, which is a shame as he was also an exceptional songwriter. The tracks on Definition create a very distinctive and detailed niche of psychedelic folk rock. Barbour references many different sounds, including San Francisco rock, British psych pop like Donovan and Pink Floyd, The Incredible String Band and Zappa, while creating an extremely distinctive sound. I've heard this disc likened to Zappa a bit too much. There are a few dashes of Zappa's vocal approach and instrumental flourishes on the opening track "What Will Become Of The Morning," and the closing Dr. Root's Garden employs some Zappa-style humor, but 98% percent of the time the band is most certainly doing their own thing. The almost unbearable melencholy of "Cynthia Gerome" and complete insanity of the bouncing "Baby Let Me Show You Where I Live" are wholly original. Barbour's work as a lyricist is also of note. Many of the songs are in the form of stories, but remain conscious of word placement and sound for maximum effect. The imagery is quite strong, but avoids pretty much every cliche of psychedelic rock in 1967. Plenty of snippets of lyrics will bounce in your head long after listening. Barbour's voice is also of note, often lilting like a troubadour, but intimating some kind of hidden madness. This isn't to say I think Barbour was some sort of acid casualty as he always sounds completely in control and has a strong vision for his band. Part of that vision includes a intensely trippy undercurrent of insect references. In fact it seems that songs like the aforementioned "Baby Let Me Show You Where I Live" and "Dr. Root's Garden" are written from an insect's perspective. In fact Barbour apparently eventually entered a career as an entomologist. The words are often a little unsettling, but always fascinating. Every great band needs a secret weapon, and Chrysalis has two. Vocal Nancy Nairn comes across like an institutionalized Grace Slick and really tears the roof off of tracks like "April Grove" and "30 Popular." It makes me think a little of the Fiery Furnaces work almost 40 years later. Also taking Chrysalis' music to the next level is percussionist Dahaud Shaar. His beats bring a lot of color and variety to the songs present here. While nothing here classifies as world music, Shaar seems to understand plenty of world rhythms and brings a touch of that to highlight, but not overwhelm the tracks. The CD reissue includes eight bonus tracks, including six that don't appear on the album proper. The sound quality is a step down from the album, but seeing as such a great band has no other releases to their name, these still great tracks are invaluable. The writing and playing maintains the same amazing level of quality, even if thing get a little more hissy. According to the liner notes, Rev-Ola has plans to secure and release demo recordings for an aborted second album. I hope that these soon see the light of day. Definition is truly a psychedelic classic. I would easily rate this with a "pick-up-as-soon-as-possible" status. 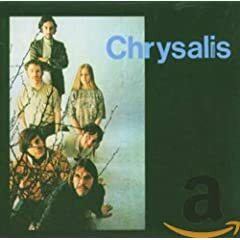 Chrysalis were a completely original band with new ideas that still sounds innovative today. Sunshine pop does not necessarily equate to psychedelic as this 1968 release attests. It's an odd disc that often earns favorable comparisons to Pet Sounds but in the end remains pretty square. If Laurence Welk ever tried to bring out a rockin' group to show he was "hep and with it," these folks must have been on the top of his list. And if my grandmother could still hear, I'd have no problem playing this one for her. This is not the place to look for anything that would be considered experimentation, but the sound is as sundrenched as anything you'd expect from A&M Records and Herb Alpert's guidance in the 60's. Even without any particularly new sounds, Roger Nichols And The Small Circle Of Friends is a high quality product that takes more attitude from the Sinatra dominated era of pop than the rock age. The arrangements here use a little bit of electricity and occasionally louder drums, but once the tight harmonies are in full effect, the songs tend to resemble a really good toothpaste commercial. The production is top flight and often has a dreamy sheen (hence the 1.5 on the Trip-O-Meter). Roger Nichols carved out most of his career as a songwriter, penning Carpenters' hits such as "We've Only Just Begun" and "Rainy Days And Sundays." For a few years in the 60's he teamed with siblings Murray and Melinda MacLeod for a vocal duo that must have been in it's element in a slightly more upscale Holiday Inn lounge. Fortunately on this album he cowrote four songs with Brian Wilson's Pet Sounds lyricist Tony Asher and the songs have a little more depth than I usually associate with such breezy pop. Still, don't expect anything close to the emotional whallop of Pet Sounds. There are a few more original numbers present, along with a slew of covers, including two Lennon/McCartney songs, two Lovin' Spoonful tracks, and one composition each from Burt Bacharach and Goffin/King. They do a pretty good job fitting all these songs into their signature sound, and I don't come off wishing that they'd included more original material. The Beatles songs in particular include a fine version of "With A Little Help From My Friends" (I certainly enjoy it more than Joe Cocker's version) and a rendition of "I'll Be Back" which includes and original and unexpected tag at the tail end of the song. In fact, it's my favorite moment on the album. The Rev-Ola reissue includes 8 bonus tracks and makes a pretty nice addition to the set. We get two mono single versions of songs on the proper album while the other tracks are proper outtakes and obscure tracks. They maintain the consistancy of the album with the exception of the completely stupid "St. Bernie The Sno-Dog." But can one really expect much from a song with that title? This is properly acknowledged as a sunshine pop classic, but don't expect any psychedelia here. The 5th Dimension sound like Captain Beefheart compared to these folks. 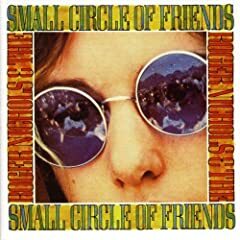 But Roger Nichols And The Small Circle Of Friends is immaculately produced, almost sickeningly consistent, and is a good place to seek out the breezy A&M sound of the 60's. The Electric Prunes second long player is a significant improvement over their first. It's lacking the instant punch of their first disc's amazing singles, but makes up for that with consistency. Here the band seems much more in control of their fate and firmly in the driver's seat. There are still some stylistic excursions, and they do not always work, but they don't jettison the Prunes' signature heavy reverb and tremelo sound as several tracks do on the first album. The band also takes on much more of a songwriting presence on Underground. Scribes Mantz and Tucker still contribute with three songs, but they don't have the massive presence that they did before. Underground is bookended with it's best tracks. "The Great Banana Hoax," which was written by singer James Lowe and bassist Mark Tulin, starts the album off with a psychedelic tour-de-force. The band follows an awesome tom drum driven groove through several eerie and pleasingly disjointed sections of music. Although the strange structure wouldn't have earmarked this one as a single, for those willing to follow "The Great Banana Hoax" is just as rewarding as the first album's classic singles. More immediate is the closing track "A Long Day's Flight." This relatively simple garage rocker is performed with maximum impact and should have been the breakthrough single from the album (I don't believe it was ever released as a single). In between these psychedelic masterpieces is a pretty good, if not great, album. The band seems to function best when they're riding a bubbling groove as on "The Great Banana Hoax." They manage to maintain a chill, almost San Francisco rock type of groove for five minutes on Tucker and Mantz's "I." "Children Of Rain" is a cool mid-tempo psych track and the band logs in another top flight rocker with the Lowe and Tulin written "Hideaway." There are still a few questionable style changes on somewhat cheesy "Antique Doll" and the excursion into sunshine pop on the Goffin/King composition "I Happen To Love You." Fortunately this is not at the expense of the Prunes' trademarks, and thus are far more successful than certain tracks on the debut album. 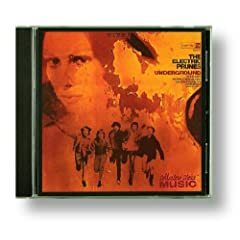 Although lacking their best known songs, Underground is the most accurate representation of the Electric Prunes released in the 1960's, and more than deserves the ear of discerning psych rock fans. The recent reissue includes a few non-album singles, plus a few mono mixes of the proper album tracks. Both the new remastering and the liner notes are superior and marginalize the previous CD releases of the album. The Electric Prunes debut album is a sometimes amazing, but all too often frustrating hodge podge of several different styles. While the band is rightfully revered as one of the best psychedelic garage bands to appear in the 60's, I Had Too Much To Dream (Last Night) doesn't always play to the band's strengths. Along with some amazing psyche rockers, we get unfortunate attempts to include pop stylings and balladry that would at best be considered novelty numbers, and many could consider embarrassingly unlistenable. But let's focus on the good news first. This LP is home to two of the best psychedelic singles ever released. The title track actually managed to make it to #11 on the charts and is a swirling buzz of garage perfection. Every instrument is utilized to amazing effect and the mood shifts between dreamy and a full-tilt fuzzy rocker effortlessly. If I had to explain psychedelic rock to an Neptunian, this would be one of my first plays. It's quintessential. The follow-up single, "Get Me To The World On Time," is almost as good. While the track lacks the groovy mood shifts of the title tracks, it compensates with a gloriously twisted and distorted Bo Diddley beat. I have to admit that I think that this particular beat is generally overused, but here it works with the space-time ripping guitars and powerful vocals. Actually the first side of the album holds up pretty well. There are a few lesser, but enjoyable rockers in "Bangles" and "Are You Loving Me More (But Enjoying It Less)". "Onie" is a slight almost bubblegum ballad, but is far from an embarrassment. Only "Sold To The Highest Bidder," featuring some out of place world-folky string instruments, bogs this side down. Unfortunately it's a masterpiece compared with some of the horrors on the second side. Of course things start well with "Get Me To The World On Time," but then the band tries on some ill-fitting psychedelic pop affectations on the pop standard, "About A Quarter To Nine," and "The King Is In The Counting House," which is most notable for some wretch-inducing lyrics. Things get a little better on "Try Me On For Size," which is a little more of a rocker, but then the bottom falls out completely on "The Toonerville Trolley." It's one of those ultra twee vaudeville things, and really strokes your gag reflex. It's the aural equivilent of a train wreck. Anyone scouting this album out might want to stop the disc a track early. The band is not completely to blame. Producer Dave Hasslinger, while proving to be quite a boon on the singles, was not nearly as adept at guiding the boys into genre other than nut-busting psychedelic garage rock. A similar gift and curse are the songs of Annette Tucker and Nancie Muntz. With Tucker co-writing six songs with Muntz (including the title track), and another two with Jill Jones (including the second single), their presence here is more than notable. Unfortunately, this team is also responsible for "The Tunerville Trolley." The band only logs in with two songs of their own, so they didn't seem to have their hand completely on the tiller at this point. 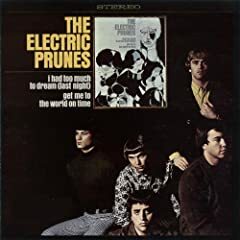 Although very talented, The Electric Prunes are a band much better left in their garage psyche niche. They weren't really equipped for genre hopping. While very far from a perfect set, I Had To Much To Dream (Last Night) is still an essential purchase for the psych fan. Although you'll probably want to avoid some of the dangerous water present here, you will be rewarded with two top-notch singles and several solid album tracks.